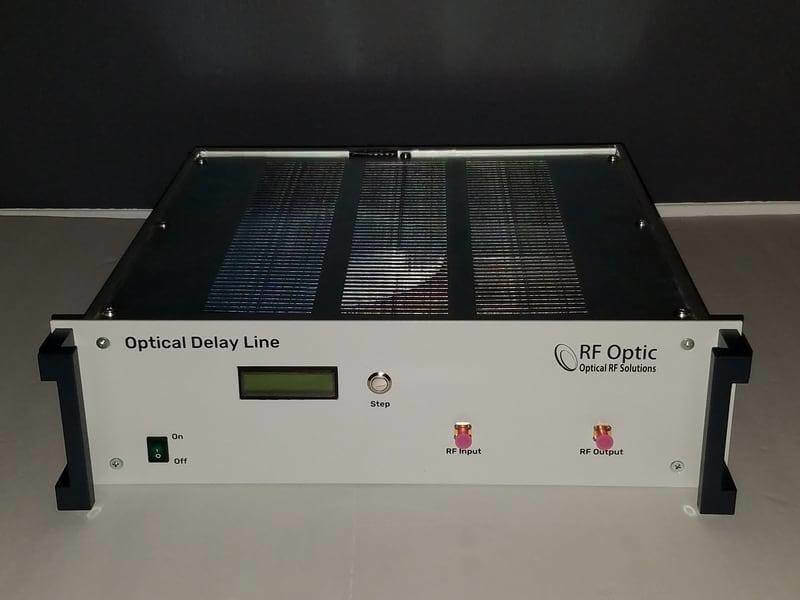 RFOptic Optical Delay Line solutions are very space efficient. 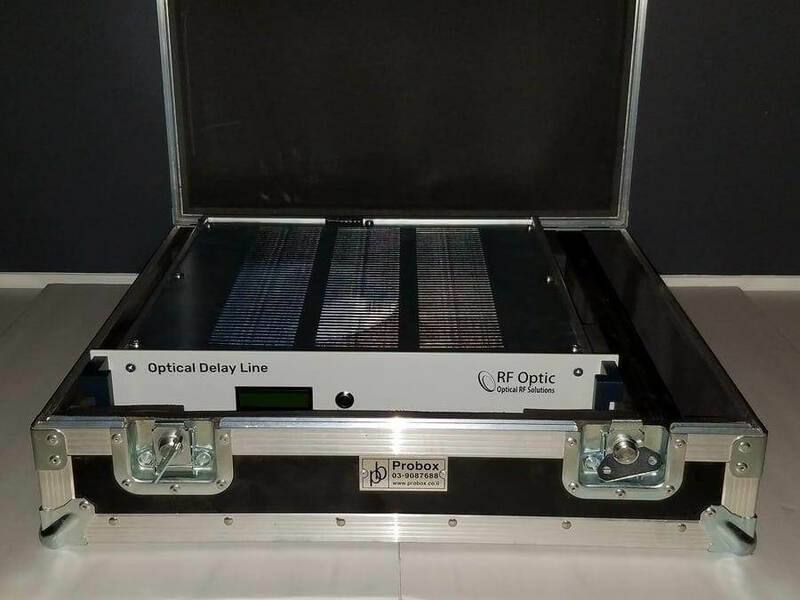 Most ODLs come in a 3U enclosure that houses the transceiver, delay spools and other necessary components such as optical switches. If large delay lines are needed, another 3U enclosure can be added. All delay line solutions come in heavy duty transport cases that are foam fitted for maximum protection during shipment. The transport cases are reusable making the delay line solution portable.